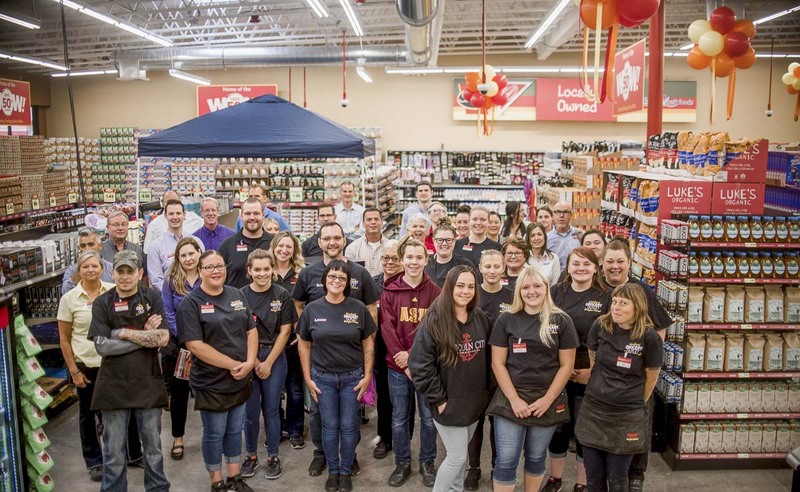 WOODLAND — Grocery Outlet Bargain Market, which company officials describe as “the nation’s fastest-growing, extreme-value grocery retailer,’’ opened its newest location Thursday at 1325 Lewis River Road in Woodland, creating approximately 30-40 new jobs in the community. The grand opening celebration included a ribbon-cutting ceremony to “Unlock Savings” and a donation of $2,489.31 to Woodland Action Center, presented by independent owner-operator, Launa and Brian Howard. 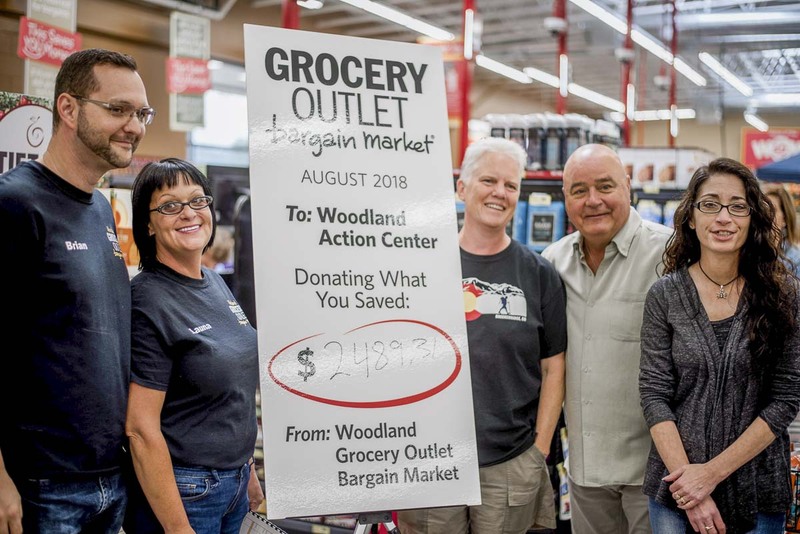 In true Grocery Outlet fashion, the amount that shoppers saved on their grocery purchases during the new store’s first hour of operation determined the total donation amount. Grocery Outlet stores are independently operated by local families who are committed to supporting their communities. Grocery Outlet officials claim the store “offers the same trusted brands as traditional grocery stores, but at prices 40 to 70 percent less.’’ Its buyers scour the country to find the top manufacturers with excess inventory, and seasonal closeouts so Grocery Outlet can offer “WOW savings” of 50 percent or more on thousands of name-brand products. To extend the celebration, there will be free wine tasting each afternoon from noon to 4 p.m. through Sun., Aug. 19 in the wine department. Must be 21 years of age or older with valid ID. Store hours are 8 a.m. – 9 p.m.
For more information about Grocery Outlet, please visit www.GroceryOutlet.com.